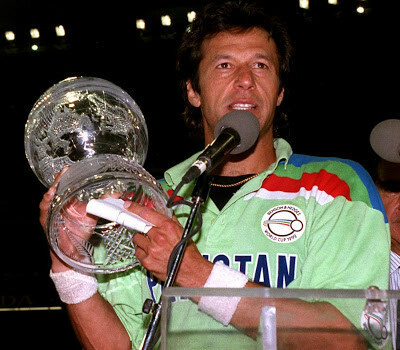 In the following article, you will come to know about Imran Khan’s cricketing life, political and educational background, his career in numbers and many other accolades that he achieved during his personal and professional career. 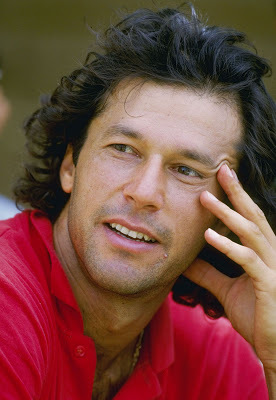 Imran Khan (born Nov 25, 1952 in Lahore, Punjab) is a former Pakistani Captain who was indisputably the greatest cricketer to emerge from Pakistan. He played 88 Test matches and 175 One Day International matches for Pakistan. His major teams were Pakistan, Dawood Club, Lahore, New South Wales, Oxford University, Pakistan International Airlines, Sussex and Worcestershire. Imran Khan is widely regarded as the greatest and most flamboyant cricketer that Pakistan has ever produced and arguably the world’s second best all-rounder to have graced the game after Sir Gary Sobers. He was tall, demure, handsome and charismatic who dazzled the world with his amazing talent. He will also be remembered for his bold and inspirational captaincy that brought Pakistan into the limelight in the eighties and culminated in their winning the World Cup in 1992. 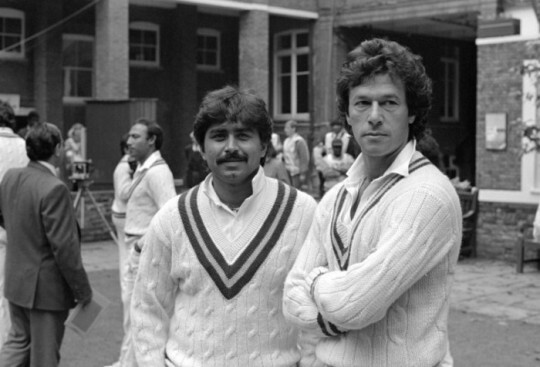 Imran Khan along with Sarfaraz Nawaz, made it fashionable to reverse swing the cricket ball in the 1980s. He was a dominant figure in Pakistani cricket that he could pick and choose who to play in the national side. Wasim Akram and Waqar Younis, two of the finest fast bowlers seen in the late 80s and 1990s were handpicked by him and groomed to play the role of strike bowlers for Pakistan. He nursed the national side and literally pushed youngsters like Inzamam-ul-Haq and others towards fame and fortune. On 16th May 1995, Imran married English socialite Jemima Goldsmith (the daughter of the late British billionaire Sir James Goldsmith), a convert to Islam, in an Islamic ceremony in Paris. A month later, on 21st June, they were married again in a civil ceremony at the Richmond register office in England, followed by a reception at the Goldsmiths’ house in Surrey. The marriage, described as “tough” by Imran, produced two sons, Sulaiman Isa (born 18 November 1996) and Kasim (born 10 April 1999). 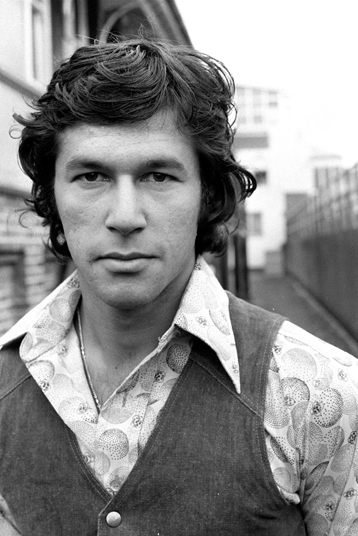 As an agreement of his marriage, Imran spent four months a year in England. The marriage ended amicably. Imran has regular access to his children and his relationship with his ex-wife is friendly. Later after 15 years, Imran Khan married television presenter Reham Khan at his residence in Bani Gali on January 8, 2015, in a simple, no frills ceremony. After a 10-month long marriage, Imran Khan and his wife Reham Khan have decided to part ways. Placed at Number 8 on the all-time list of the ESPN Legends of Cricket. 11 Man of the Match awards in Tests. 8 Man of the Series awards in Tests. 13 Man of the Match awards in ODIs. 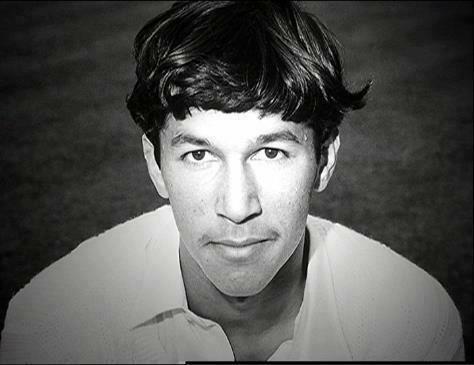 During his peak years in Test cricket, Imran was easily the best all-rounder among his peers. In the nine years between 1980 and 1988, his bowling average of 17.77 was almost 22 lesser than his batting average. In fact, extending this analysis to all Test cricket, only Sobers had a higher difference between batting and bowling averages (among those with at least 3000 runs and 200 wickets, and two wickets per Test). 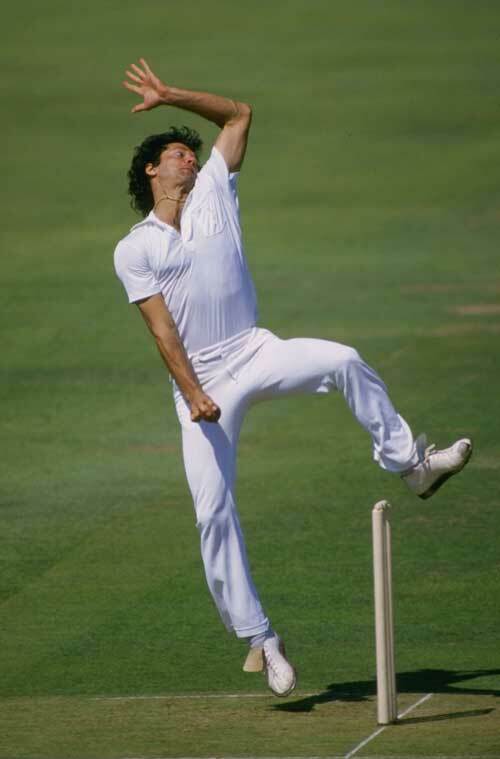 In his pomp, not only was Imran the best all-rounder, he was also the best bowler in the world. 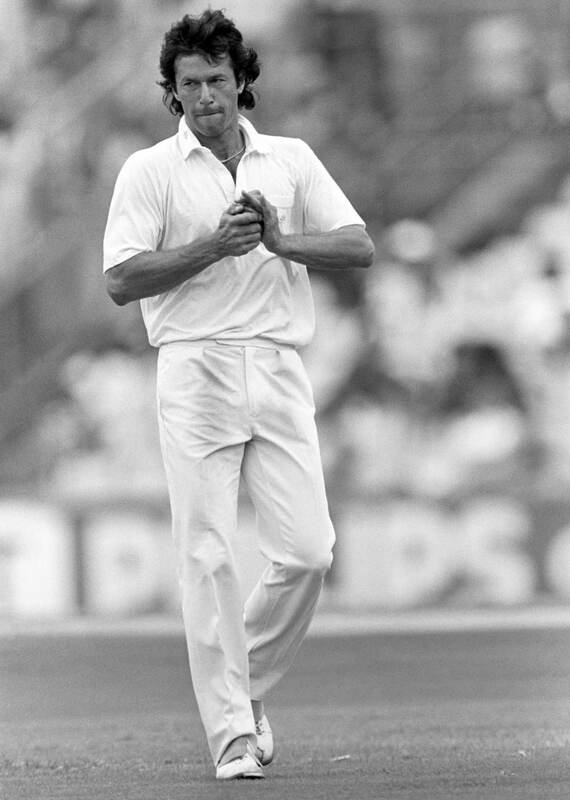 At a time when a connoisseur of fast bowling would have been spoilt for choice, for there were so many great ones going around, Imran was still the best of the lot with an average of 17.77 and a strike rate of less than 44 balls per wicket. What’s more surprising, though, is the sort of numbers Imran racked up as a batsman when his glory days as a bowler were over. He was technically sound and could play with the straightest of bats. 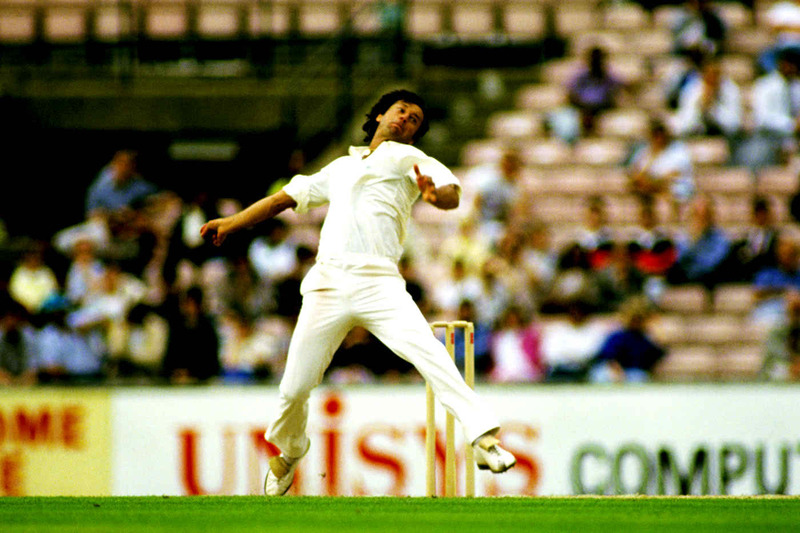 One of the highlights of Imran’s career was his battles against the best team of his times, West Indies. As a batsman he wasn’t as effective against them, but as a bowler he was superb, taking 80 wickets at 21.18. 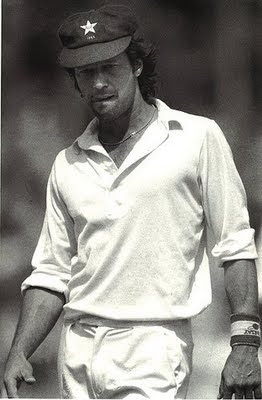 One of the stand-out aspects of Imran Khan was the manner in which he lifted his performances when he became captain. In the 48 Tests in which he led Pakistan he averaged 52.34 with the bat and 20.26 with the ball. Imran’s ODI numbers were pretty impressive too, though his bowling average of almost 27 didn’t do complete justice to his skills. He averaged only slightly more than one wicket per match, but that was also because of the stress fracture, which severely curtailed his bowling. When on song, even the best of batsmen found him difficult to handle. The only time Pakistan were ranked No. 1 in the ICC Test team rankings was in 1988 when Imran Khan was Pakistan’s Captain. Between October 1985 to December 1989, Pakistan played 10 Test series (5 at home [Pakistan] and 5 away [home of opposition]). Remarkably, Pakistan did not lose a single series during this period i.e. 4 years and 2 months. On top of it, Pakistan only lost 3 Test matches during this period, against Sri Lanka once and twice vs West Indies. In the same time frame, Pakistan managed to win 9 Test matches against 5 different oppositions. Not only this, Pakistan also managed to win Test series against England in England (1-0), against India in India (1-0) and drew the series 1-1 against the then mighty West Indies team in West Indies. 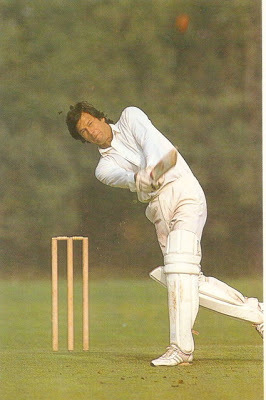 Imran was a stylish hard hitting batsman with a sound orthodox technique who could defend or attack as the situation demanded. He started to bat lower down the order but ended up his as one of the great batsman of the era. He had one of the straightest bats in the game and was a destructive batsman who could pace up the innings as required. What’s more surprising, though, is the sort of numbers Imran racked up as a batsman when his glory days as a bowler were over. He was technically sound and could play with the straightest of bats, and when he worked on his patience and temperament, the result was a batsman who could play long innings and adapt his game according to the needs of the hour. In the last five years of his career, Imran averaged 59.69 in 28 Tests, and four of his six Test 100s came during this period. Among those who scored at least 1500 runs during this period, only New Zealand’s Martin Crowe had a better average. Imran was a terrific match winner: in matches that Pakistan won, he averaged almost 47, which was well above his overall batting average of 33.41. Among Pakistan’s batsmen who scored at least 2000 runs in ODI wins, only 5 have a higher average. Given that he was a man for the big occasions, it’s hardly surprising that his World Cup stats are better than his overall career numbers. As a bowler he had genuine pace and could move the old and new ball in the air at will. When he began, he couldn’t control big, booming in-swingers of modest pace. 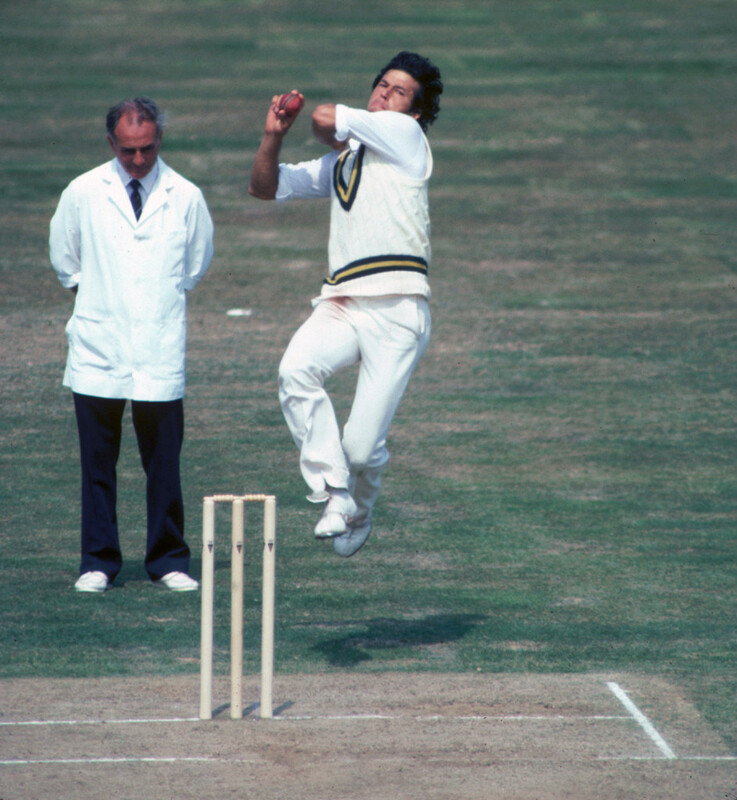 But when cricket was gripped by a prolonged vogue of bouncers from the mid-70s on, Imran unthinkingly jumped in. When the run-up and rhythm were right, he was sharp, and he targeted heads with commendable indiscrimination. His in-swingers and Yorkers were impeccable and a delight to watch. 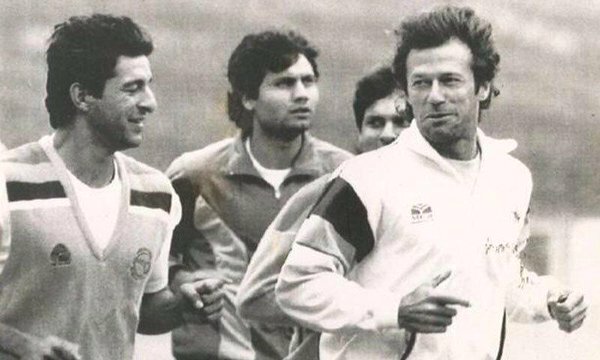 In the 1980s, Imran was in his pomp, and he was easily among the top five players in the world during this period. He averaged almost less than 18 with the ball, numbers which indicate quite emphatically just how dominant he was. He was even more lethal in the 14 months between November 1981 and January 1983: in 16 Tests during this period he took 104 wickets at an incredible average of 14.87, with eight five-wicket hauls. India and Australia played six Tests each against Pakistan during this period, and both suffered extensively at the hands of Imran: he destroyed India’s much-vaunted batting line-up with 40 wickets at 13.95, while Australia fared only slightly better, conceding 29 wickets to him at 16.65. Imran was an inspirational captain who held the Pakistan team together by the sheer force of his personality and gave Pakistan their proudest moment in International cricket. He was the difference between a mediocre, underperforming cricket nation and an excitable, winning one. Without him, Pakistan would not be as we know and love them. He led a perennially fractious team to fulfill the aspirations of a nation. However autocratic his methods, they usually worked. In short, he ushered Pakistan cricket into its golden era. And then there is the man. As any number of women would say, just look at him. Imran Khan turned Pakistan from a collection of talented but generally ineffective individuals into a fighting, world-class team, leading by example and through sheer will. He was loyal to talent and dismissive of bootlickers and easy riders. He battled for the success of the Pakistan cricket team, and for the honor of his country, on playing fields and in boardrooms. He unearthed some of the greatest talents you would ever see. He was a role model for Pakistanis all over the world, and he attracted a vast following from people of many other nationalities. Imran Khan was truly magnificent. For a good while, too, he was the King of Pakistan. 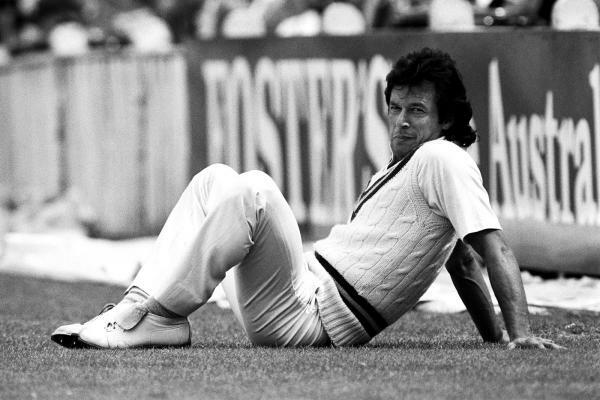 In fact, one of the stand-out aspects of Imran Khan was the manner in which he lifted his performances when he became captain: in the 48 Tests in which he led Pakistan he averaged 52.34 with the bat and 20.26 with the ball. 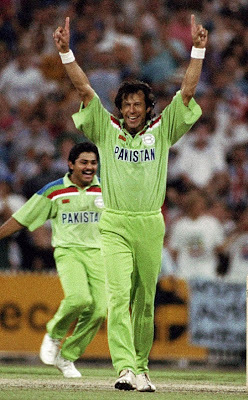 Imran’s career reached the sweetest of all finales when he led Pakistan to victory in the World Cup of 1992. It was testament to how he had transformed the Pakistan team from a procession of soloists into an orchestra. This is then what he did; in order to fulfill his greatest obsession he went out to every street, every corner, every college and school; not only of Pakistan but around the world. He focused his efforts solely on social work. By 1991, he had founded the Shaukat Khanum Memorial Trust, a charity organization bearing the name of his Mother, Mrs. Shaukat Khanum (who died of cancer). 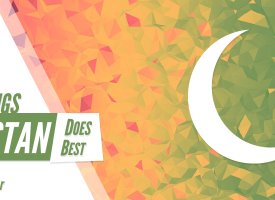 As the Trust’s maiden endeavor, Imran established Pakistan’s first and only cancer hospital, constructed using donations and funds exceeding $25 million, raised by Imran Khan from all over the world. 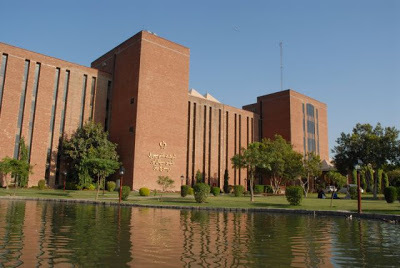 Inspired by the memory of his Mother, the Shaukat Khanum Memorial Cancer Hospital and Research Centre, a charitable cancer hospital with 75 percent free care, opened in Lahore on 29 December 1994. Imran currently serves as the chairman of the hospital and continues to raise funds through charity and public donations. Princess of Wales Lady Diana also visited Lahore in 1996 in order to raise funds for the Cancer hospital. 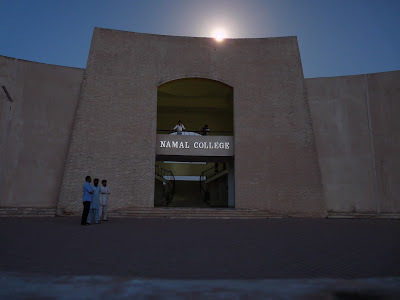 On 27 April 2008, Imran’s brainchild, a technical college in the Mianwali District called Namal College, was inaugurated. Namal College was built by the Mianwali Development Trust (MDT), as chaired by Imran, and was made an associate college of the University of Bradford (of which Imran was a Chancellor) in December 2005. The college began its humble beginnings as a technical training and diploma awarding institute. Within this brief period, it now awards University of Bradford undergraduate degrees to its students. It is an associate college of University of Bradford, having also an advisory relationship with LUMS. 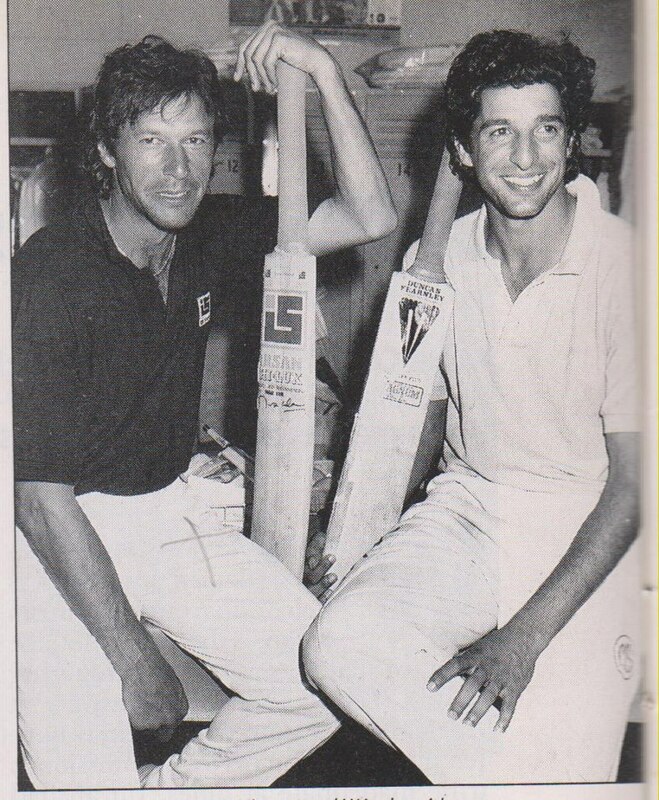 Imran entered electoral politics after few years after the end of his professional cricketing career. Since then, his most significant political work has been to bring awareness towards the lack of justice in Pakistan. Initially, Imran Khan’s politics were not taken seriously in Pakistan. However, his popularity has sharply risen, especially among women and the youth of Pakistan, after the repeated bad governance by the government and interference by US. On 25 April 1996, Khan founded his own political party called the Pakistan Tehreek-e-Insaf (PTI) with a proposed slogan of “Justice, Humanity and Self Esteem.” Recently, Imran Khan has been the only politician who has responded to terrorism allegations on Pakistan. While Khan is viewed as a fundamentalist by some political circles, he has suggested solutions for helping US and NATO forces to fight terrorism while at the same time, not creating more terrorists in Pakistan. 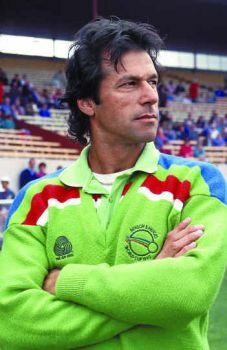 While many people seem hopeless about Imran’s political victory in Pakistan, he has known to someone possessing high level of determination and perseverance, as demonstrated by his cricket and philanthropic career. 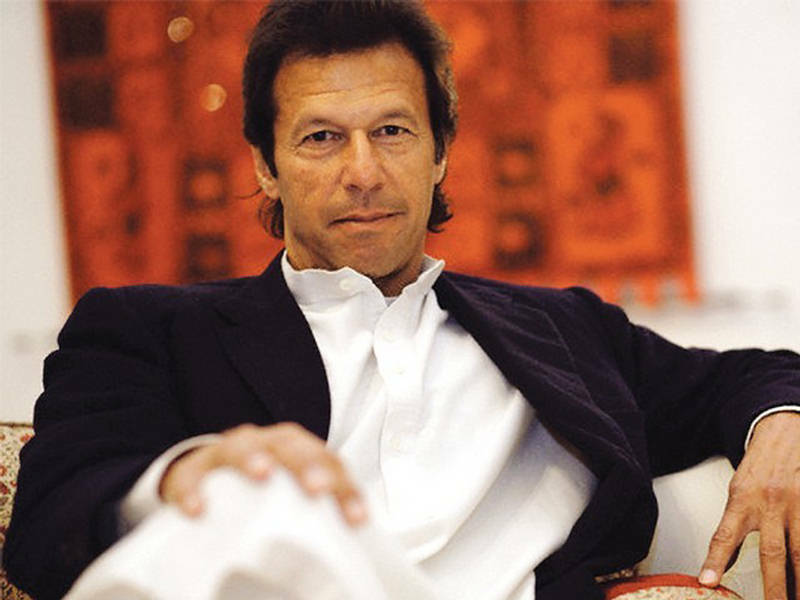 His political popularity is rising quickly in Pakistan and although the party has only one seat in 2002 elections and kept out of elections in 2008, resulting in no representation in Parliament, Imran Khan is considered as the one of the four major political leaders in Pakistan, especially by mainstream media. During a campaign rally in Lahore for 2013 general election, Imran fell 14 feet as he was stepping off an improvised forklift. He was seen to be bleeding and unconscious with a gash on his head. He was then taken to Shaukat Khanum Memorial Hospital where Imran was treated for two fractures to his spinal column. PTI won 33 seats as they emerged as the third largest party in the country. Moreover, Imran’s PTI is the leading governing party in KPK. 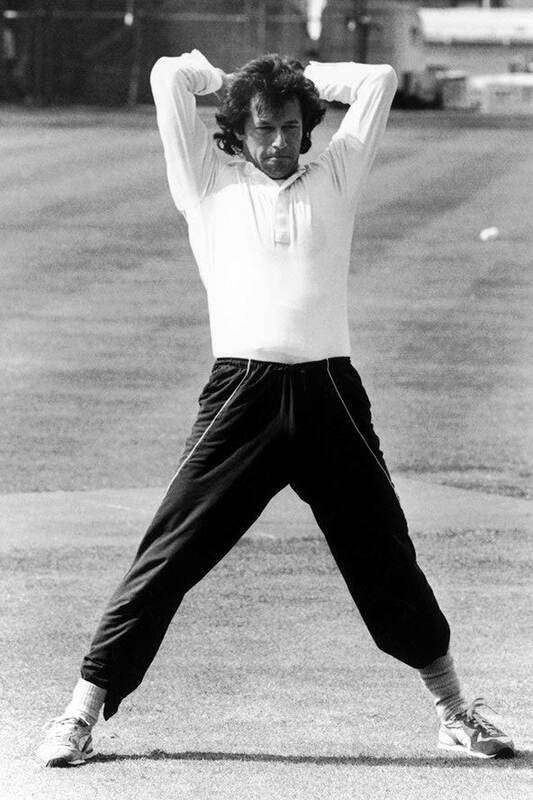 Imran Khan was arguably the greatest all-rounder since Sir Garry Sobers. Thank you Imran Khan for your irreplaceable services for Pakistan Cricket. LEGEND! Excellent article with some exceptional facts & figures. The images are outstanding. Took me to the memory lane since I remember watching Imran Khan hitting Bedi at Karachi National Stadium. What a moment that was sitting in the stadium watching Imran.